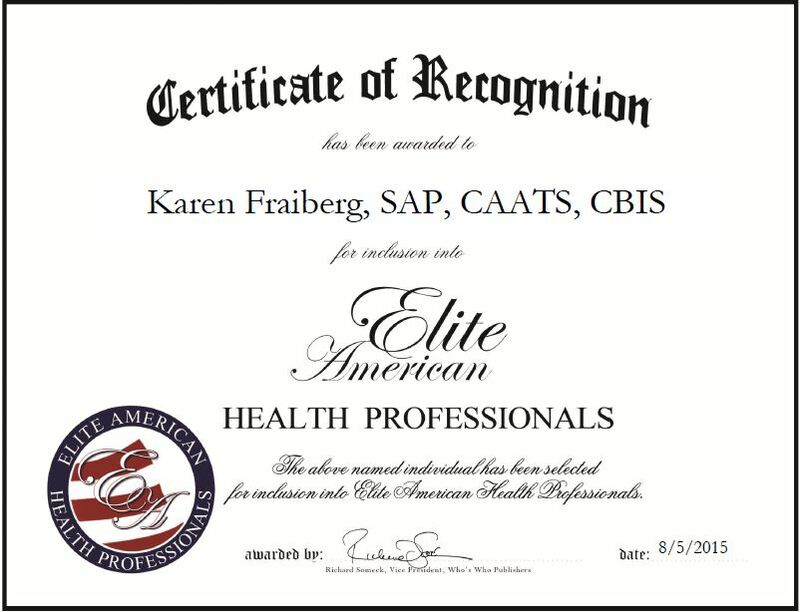 Southfield, MI, August 5, 2015, Karen Fraiberg, SAP, CAATS, CBIS, Owner, Chief Executive Officer, Psychotherapist of The Art of Hope, Healing and Happiness, has been recognized by Elite American Health Professionals for dedication, achievement and leadership in mental health. 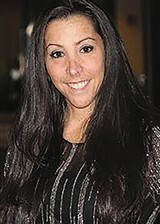 This entry was posted in Counseling and tagged legal issues, mental health, mood disorders, owner, psychotherapeutic treatment, psychotherapist, substance abuse, therapy. Bookmark the permalink.